At TCC Group, we know that data alone does not help a nonprofit build capacity. It does, however, provide a launchpad for collective reflection and interpretation, enabling you to move your organizational capacity building plan forward by identifying specific next steps and success metrics, and turning data into action. 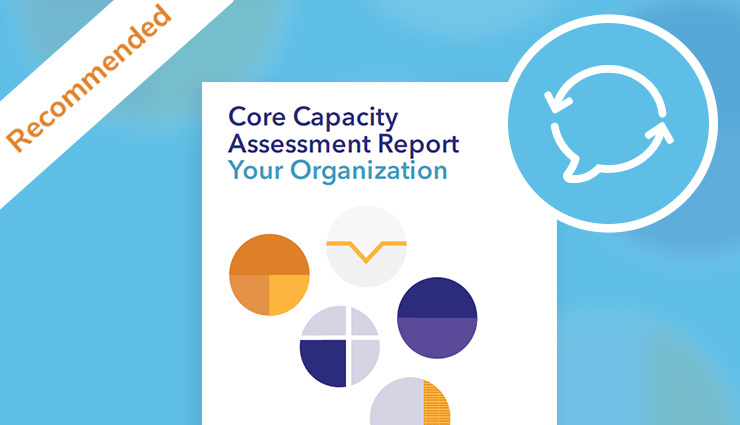 The information you receive from your CCAT report is amplified through a facilitated and inclusive discussion by a neutral third-party facilitator who can guide your organization’s leadership through the report and contextualize what your results mean for your nonprofit. This will help you tailor your CCAT results to immediately translate them into meaningful organizational improvement. TCC Group’s CCAT facilitators have deep experience in the nonprofit sector and make it possible for organizations to implement capacity building strategies for organizational transformation. A certified CCAT facilitator can help you identify concrete next steps, mobilize the resource required to accomplish your goals, and help your board and staff achieve greater mission-driven impact. Interpretation sessions are 90 minutes and involve active participation from staff and board leaders from the participation organization. Purchase of an interpretation session includes access to the CCAT survey and report.